64GB Sony SxS PRO+ C Series Memory Card ensures stable recording in XAVC 4K 60p and XAVC HD 1080p modes at 600MB/s in the Sony F5 and F55 cameras. It includes a set of safety features such as data refreshing, data error correct, and the dustproof case enclosing the entire thing. There is also a power failure management system for recreating video clips in case of power loss/card ejection. 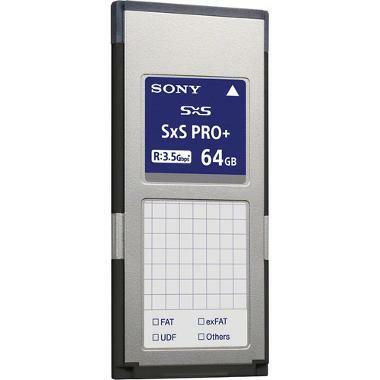 More features can be unlocked with Sony's downloadable Memory Media Utility software.